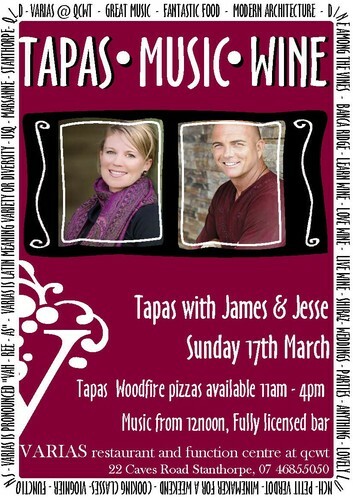 James Blundell and Jesse Curran will be performing at Tapas at the Queensland College of Wine Tourism on Sunday the 17th of March from midday. Tapas and woodfired pizza will be available, including a fully licensed bar. For bookings call 4685 5050.